Report by India Education bureau, Mumbai: Pratham, the first such satellite designed and developed by students of IIT Bombay, is set to be launched by ISRO on September 26, 2016 in Sriharikota. This will be a landmark event for the Institute. It was conceptualized in 2008 with the aim of making the Institute a center for space science and technology research. The satellite is designed to fit within a cube of 30 cm side with a weight of nearly 10 kg. The foremost objective of Pratham is to empower the students involved with the skill set required to develop a satellite through various stages of design, analysis, fabrication and testing. Another aim of this project was to start a collaboration between various Indian universities interested in contributing to the space sector and sharing of knowledge and facilities between them. Pratham was a first step towards that goal. To realize that, various workshops and sessions have been conducted by the team in IIT Bombay and other universities as well. 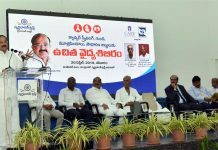 That has resulted in successful completion of ground-stations for satellite tracking in quite a few colleges, for example Atharva College of Engineering. IIT Bombay collaborated with a few international universities like UCL (London) and IPGP (Paris) too. 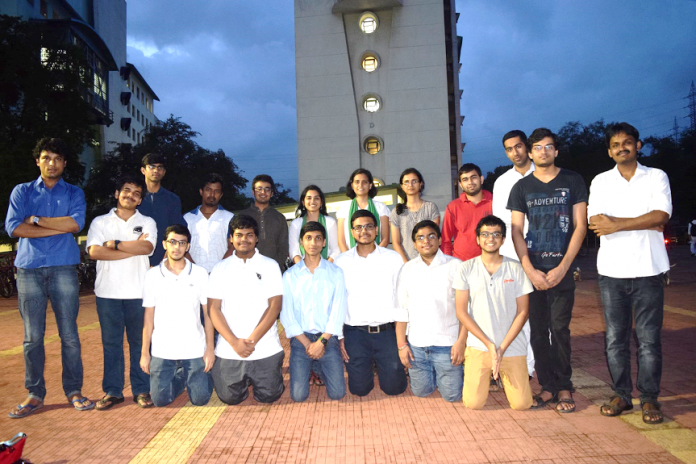 For the relevance of our satellite to the student community, IIT Bombay will be transmitting satellite data when the satellite passes over India so that any interested university with a small ground station will not only be able to detect the beacon signal from our satellite but will also be able to measure Total Electron Counts (TEC) above their ground station. This will help to spread awareness among the student community about this exciting field. complete success (100%). The team has attached a lot of importance to all the mission statements. Each of the stages of the satellite’s success criterion has been given importance as deemed fit by the team. In the end, when the satellite works successfully for its mission life of 4 months in space, the project will become a complete success (100%). The mission life is 4 months because students will need 2 months of data to validate it against known standards. IIT Bombay team wish to acquire 2 months of additional data that we can claim is our own and correct. The design life of the satellite comes from the quality of the components used in the satellite. The various stages in the development of the satellite are Design, Analysis, Fabrication and Testing, which happen in a cyclic manner. During the design phase for the satellite, various system and subsystem requirements are identified, defined and quantified. The different stages of design in increasing order of maturity are conceptual design, preliminary design and critical design. After each phase is completed by the team, a review is conducted in ISRO to assure a quality progress of the project. The scientific objective of the payload for Pratham is to measure the TEC in the Ionosphere. This is achieved by transmitting two linearly polarized beams of radio waves from the satellite and detecting the change in angle of polarization after they have crossed the ionosphere, using a ground station. By this method, we will be able to measure the TEC of the region only directly above the ground station. As the number and regional distribution of ground stations increases, more TEC data can be produced. The team has collaborated with several universities for the ground-stations. TEC maps are very useful in meteorological studies and ionospheric error correction in GPS. This is very relevant in the Indian scenario considering ISRO’s GAGAN project. The power subsytem is responsible for ensuring an adequate supply of power to the satellite and appropriate distribution to the various electrical loads. Our satellite uses a Li-ion battery and four space-grade solar panels acquired from ISRO to provide power to the satellite. The OBC sub-system is like the brain of the satellite. It controls the way the satellite functions and is expected to take all the decisions for the satellite. The on-board computer regulates the flow of data, executes the attitude-control loop and other such computational /decision tasks and also decides which sub-systems are to be kept on/off/idle in emergency situations. Since a failure of the OBC results in a failure of the satellite, a lot of emphasis is placed on robustness and the resistance of the OBC to errors (hardware/software) that may occur. Space-grade components are preferred to ensure a long life for the satellite. The ADCS subsytem is required to ensure the proper orientation of the satellite in orbit. When the satellite is ejected by the launch vehicle, it rotates at high velocities. In order to receive the transmitted signals by the ground-stations, the satellite needs to be at a stable orientation which is the task of the ADCS subsystem. The sensors used for this purpose are GPS and magnetometer, commercially acquired and sun-sensors. The actuators to stabilize the satellite were magnetorquers, self-fabricated. The structures, thermals and mechanisms group has, under its aegis, the physical units comprising the body of the satellite. The broad function of this group is to design the body of the satellite and mount all components on it, shielding them well from shock, excessive temperatures, radiation and stray magnetic fields, control the internal thermal environment at all times and design mechanisms crucial to the working of components. The communication subsystem is responsible for proper transmission of the signals from the satellite and reception at the ground-station. The satellite has three monopole antennas, where two of the antennas are for transmission of beacon and downlink and the third one is used for reception of the ‘kill’ or ‘reset’ signal in case of malfunctioning of the satellite. Every year, around September, a selection test is taken which is open to all the students of the institute. The selection test consists of a quiz to screen the candidates. Then the candidates have to give a presentation on a topic allotted. After successfully clearing the selection tests, the candidate is inducted into the team as an informal member. After working on the team for 2-3 months, he is given formal membership if the team is satisfied with his work. In this manner, new batch of students is inculcated every year to replace the old out-going batch. Since the old out-going batch leaves around April, it gives the new batch about 7 months to learn about the Satellite from their seniors. Currently, the team strength is around 30. All the funds allotted to this project have been provided by the Institute. We have received a lot of technical help in terms of testing facilities and guidance from ISRO. The integration of the flight model of the satellite and all its testing have been done in ISAC, Bangalore and SHAR, Sriharikota. “We aim to monitor the satellite for the next few months, track the satellite and analyse its health data. The TEC data will be analyzed and its scientific quality determined by an error quantification and comparison with other TEC maps of the same region. The data will then be distributed to various science institutes conducting research in this area,” said a student from the IIT Bombay team.